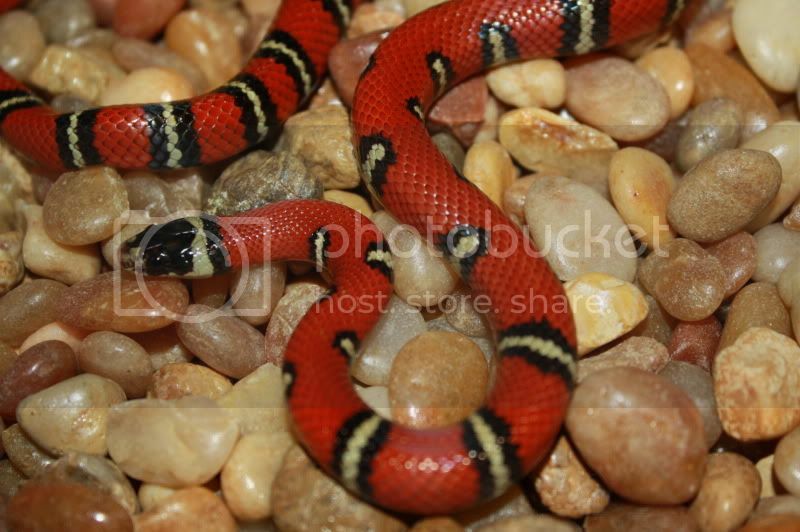 This is my F4 Tapalpa, Mexico female ruthveni I purchased from Shannon Brown last year. She needs another year before I pair her up with the F4 male I have. The F5s should have some interesting aberrancies along with that AWESOME Tapalpa RED! I wonder why these are so underrated? 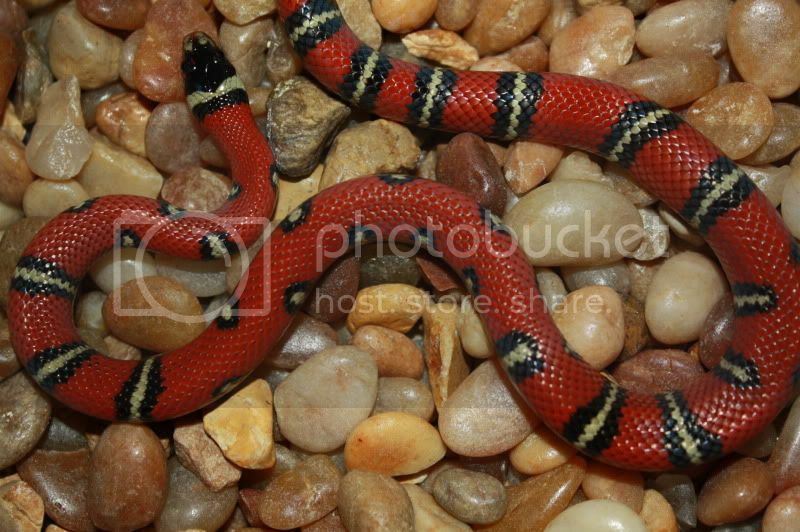 Is it because there are already sooo many tri colored milk snakes?